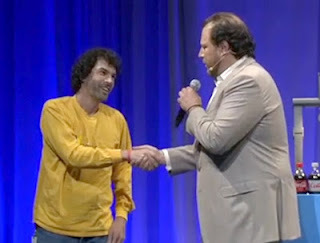 Dreamforce 2012 is here! This time last year I was just returning to work after several months of recovery from my stem-cell marrow transplant. I think I attended one keynote, saw some friends, and headed back to Marin to sleep. Click for a free keynote/expo pass - or watch online on Facebook! Not this year! While I'm still not 100% (will I ever be?) I'm about 10x better than last year. So I'm looking forward to all the keynotes, the gala on Wednesday night, delivering my Session on the Lifecycle of a Salesforce Bug (Friday 9:00a Moscone West 2022), and most of all, meeting and chatting with all of our customers. If you want to connect, chatter me in the Dreamforce org, come to my Session, or msg me @eviljg. My blog posts seem to be as frequent as my doctor visits these days -- translated: fewer posts. Dr. Damon said (last week) that he doesn't want to see me for 6 weeks (was 4.) With a successful trip to Barcelona and Dublin under my belt and my physical issues not getting worse (not getting better either, but that's ok), he felt that I was really on the right track. Great news. He also swapped out of my meds and reduce its dosage. So health-wise, things are going extremely well. Also, the crack team of UCSF lab technicians, much to my surprise, told me that I am not firing blanks (as Damon and others said I would) so now Heather and I have to be careful not to have an "oops." I can't decide if this is good or bad. Instead of posting a bunch of pics (see my facebook page/timeline for some recents), I will simply use this platform to evangelize for this year's Light the Night walk. If you live/work in San Francisco, I urge you to join us and walk, or even start your own team of walkers. 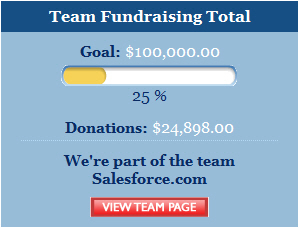 To join a Salesforce team or donate to a team or individual, go to our Light the Night page. To sponsor me individually, visit my page. For information on creating a team for your company or family/friends, check out the ways to participate page. Last week in San Francisco at the Dreamforce employee briefing, Marc Benioff got behind this effort and challenged Salesforce HQ to get involved. We still have a long way to go, but with everyone's generosity, I know we can reach our goal! OK, here's *one* picture from a Labor Day hike with the Woollens. As Floyd noticed from the shadow, Orion actually is actually in the air.